The author, along with input from the Ireland Palestine Solidarity Campaign, explains why they are boycotting Eurovision and Tel Aviv Pride. Opinion 30 January, 2019 . Written by Derek Laffan. Sometimes dubbed ‘Gay Christmas’, the week of the Eurovision Song Contest semi-finals and grand-final event typically sees the likes of PantiBar, The George and other venues around the country host Eurovision parties with commentary from Ireland’s best drag queens. 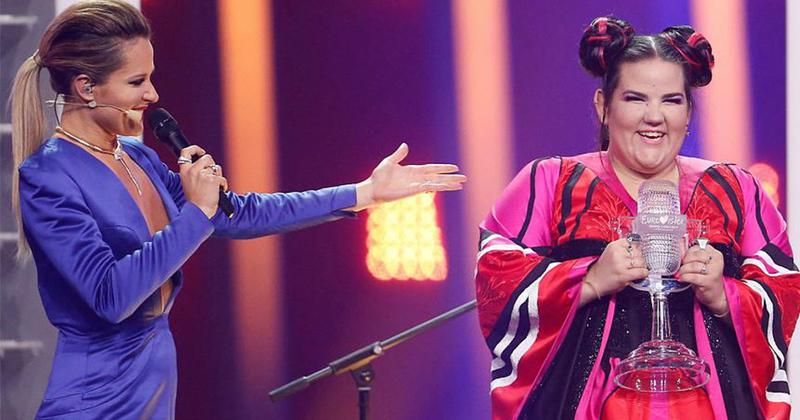 Love it or hate it, it’s a week in May that lots of us really look forward to and, unless you have been living under a rock, you would know that the winner of the 2018 Eurovision Song Contest was Israel’s Netta Barzilai with her performance of ‘Toy’. Under Eurovision rules, the winning country gets to host the contest the following year. Israel won the contest last year, so therefore it should host the contest this year. So, what’s the big fuss? And what’s not to like about a fierce gathering of Europop loving LGBT+ partying it up on the beaches of Tel Aviv? As epic as that may sound, there is a very sinister side to this year’s competition that has garnered widespread international support, lead from Palestine, where many human rights and equality activists are calling for a full boycott of the Eurovision Song Contest and Tel Aviv Pride. To help understand why, a dip into Palestinian history is needed. In 2005, Palestinian civil society launched a boycott, divestment and sanctions (BDS) movement as a form of non-violent protest against Israel until it complies with international law. Since 1967, Israel has been illegally occupying and colonizing Palestinian land, imposing a system of apartheid involving inhumane military checkpoints, segregated roads, daunting permit application procedures, travel restrictions, home demolitions, as well as holding the two million people in Gaza under an illegal, immoral siege and regularly visiting deadly military attacks on them. Since 1967, Israel has been building settlements, which are illegal under international law, on occupied Palestinian land, having a hugely destructive impact on all aspects of Palestinian lives. Indeed Eurovision 2019 will be broadcasted into these settlements, in direct contravention of a call from the Palestine Liberation Organization and the Palestinian Journalists’ Syndicate. For all these reasons, the BDS movement which was inspired by the global, cultural and economic boycott of apartheid South Africa, has millions of supporters all over the world. In recent years, the BDS movement gained momentous ground when Roger Waters of Pink Floyd publicly spoke out for Palestinian human rights and refused to play in Israel. Since then many artists such as Lana del Rey and Lorde have cancelled their tour dates in Israel rather than cross the Palestinian picket line. In Ireland more than 630 cultural workers have signed a pledge to boycott apartheid Israel. Since the announcement of Eurovision 2019 in Israel, several prominent Irish figures have endorsed the call to boycott the event, among them former winner Charlie McGettigan, Riverdance set designer Robert Ballagh, former presenters Carrie Crowley and Doireann Ní Bhriain and former commentator Mike Murphy. Last September, the Ireland Palestine Solidarity Campaign (IPSC) presented RTÉ with a petition with over 11,000 signatures (now almost 15,000) calling on the broadcaster and any potential participants not to take part in the contest this year, to respect the Palestinian BDS call. Although Israel hosted the contest after wins in 1979 and 1999, this predated the Palestinian BDS call and that’s what holding this year’s contest there unacceptable to anyone who cares about Palestinian human rights. It is hoped that LGBT+ fans of the Eurovision Song Contest can see past the strobe lights and eclectic fashions to show an act of solidarity with the Palestinian people by not allowing Israel to “pinkwash” its human rights abuses. Ways that this can be achieved include not attending the contest in Israel this year, signing the IPSC Eurovision petition to RTÉ, and vocalizing support on social media. This year will also see Israel promote Tel Aviv Pride in which the Palestinian LGBT+ organization alQaws (meaning The Arc – referring to a rainbow in Arabic) and other anti-pinkwashing campaigns have additionally called for a boycott of. One of the slogans of the movement is: “No Pride in Israeli Apartheid”. Finally, as long as Israel continues to violate international law and commit human rights abuses against the Palestinian people, there will be a continual resistance for their equality and justice and the right of return for Palestinian refugees who were forcibly removed from their homeland. Until then, the best beach side Pride celebrations will be in places where genuine equality is promoted and celebrated. 30 January, 2019 . Written by Derek Laffan.